Was walking around this area when I saw this. Hmmm. 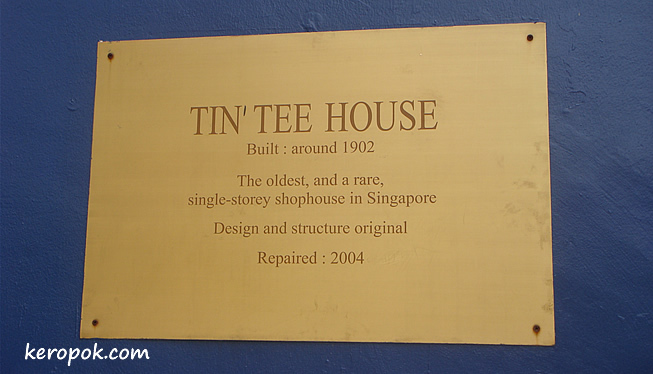 The oldest, and a rare, single-storey shophouse in Singapore. 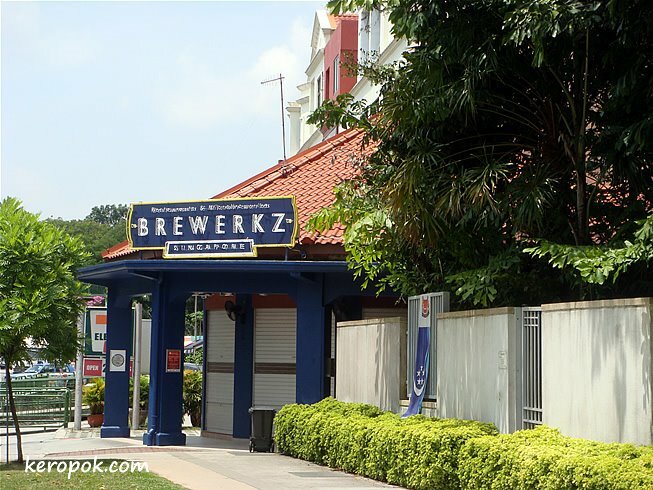 Yes, it's now a Brewery that sells their own beer. Well it can't be that bad if its selling its own beer! Fantastic. Given how advanced Singapore is now, it’s easy to forget that it is such a modern city in its founding! I thought from the thumbnail that it looked, oh, un-Singaporean! More like Quuensland or Florida perhaps? Very colorful for the time, no?